Award winning chef Tony Mantuano on preparing a wine bar for the US Open and how it impacts his business. The tennis pros aren’t the only ones serving at this year’s US Open, some culinary entrepreneurs are outside the court at Arthur Ashe Stadium offering crowd pleasers. James Beard award-winning chef Tony Mantuano (also a champion on Bravo’s “Top Chef Masters”) is debuting two wine bars at this year’s event. 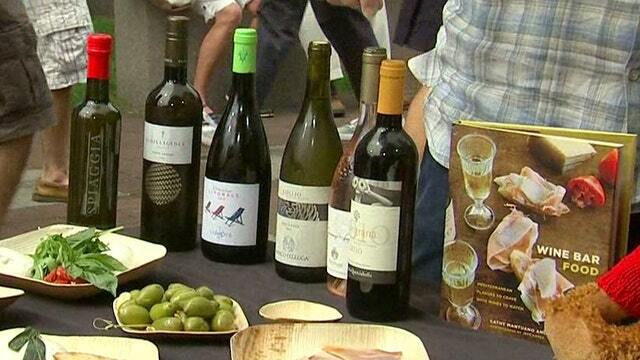 At the wine bars, made-to-order dishes will include ingredients like burrata, jamon, crostini and olives. “With this many people who want to enjoy great food, you’re going to sell these things,” he says. The partner and chef at Chicago’s Spiaggia restaurant also has a new project in the works, so the exposure doesn’t hurt. “This fall we’re opening up in Miami,” he says.